This foundation is beautiful not only because of the coverage it gives, but because it does so in a very light layer. 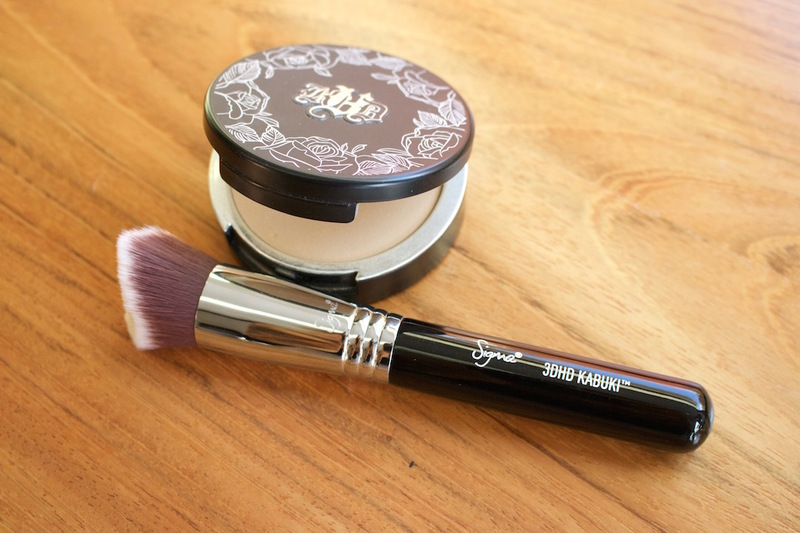 For this reason, i like to use something less dense like the 106 powder brush because it doesn't move too much of the product around. 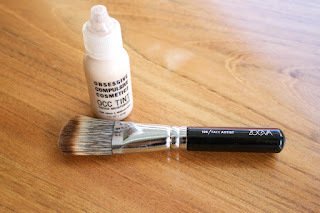 I've found this foundation is best when you let it do its own thing so applying with a less dense brush allows you to apply a nice thin layer with minimal disturbance to the product. 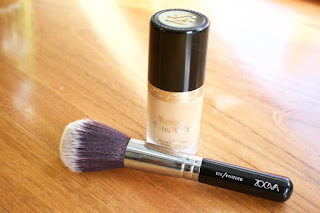 This foundation is super easy to work with and comes in a concentrated, almost moussey formula. This giant brush makes even easier work of the application by covering larger areas of the face, so you can just dot a few tiny blobs of foundation about your face and blend in seconds. I love this combination because it gives amazing coverage and a beautiful finish in no time and with minimal skill involved! I love applying tinted moisturizers/BB creams with a light hand because i think it retains the minimal coverage they offer and gives an overall perfected, natural look. I also hate applying makeup with my actual hands so this brush is probably the closest i can get and gives a beautifully light, sweeping application of this gorgeous skin tint. This is one of the few powder foundations i've ever liked using alone and not to set a liquid. The coverage is beautiful and the application is easy, especially when i use this brush. Usually i like applying powder foundations with a flat top kabuki but this just gives me so much more control and allows me to get in around the nose and eyes easily, i can dip the point into contour/bronzer and chisel out my face and it makes it very easy to apply around the hair line and jaw. I often overlook OCC concealers for some reason, then when i discover them again i wonder why i ever pushed them aside. 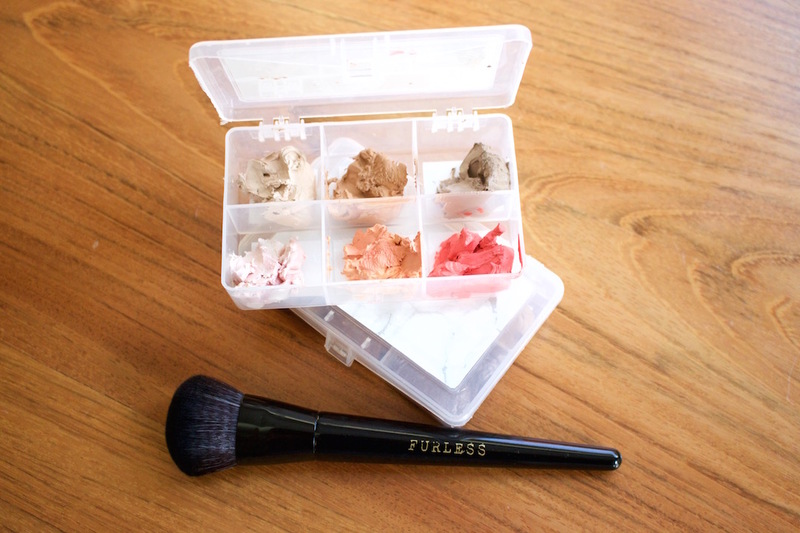 The creamy consistency is awesome to work with and i love placing the product with the OCC small foundation brush and buffing it out with the Furless CB3. The CB3 helps me get that airbrushed cream contour application that i am always trying to achieve and the creamy concealers create the softest airbrush finish! 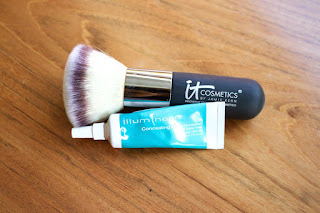 What are your favorite foundation/brush combos?